Figure 2-A. Close-up of actinolite rock at trail point 2-A. You should be able to see a fan-shaped or radial arrangement to some of the crystals of this green mineral. Figure 2-C. Loose chunk of quartz at or near trail point 2-C. Look closely and you will see that some of the quartz displays its typical hexagonal crystal form. 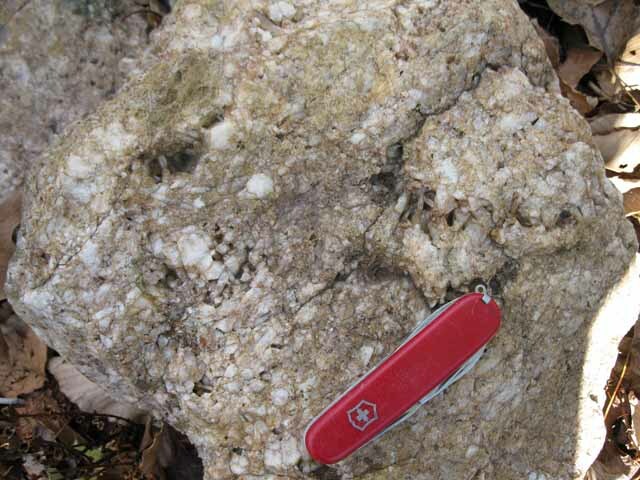 Figure 3-H. Outcrop of garnet-mica schist of the Falls Lake terrane at trail point 3-H. The garnets are the small bumps in the left half of the photo; the hammer point rests on a pod of quartz. 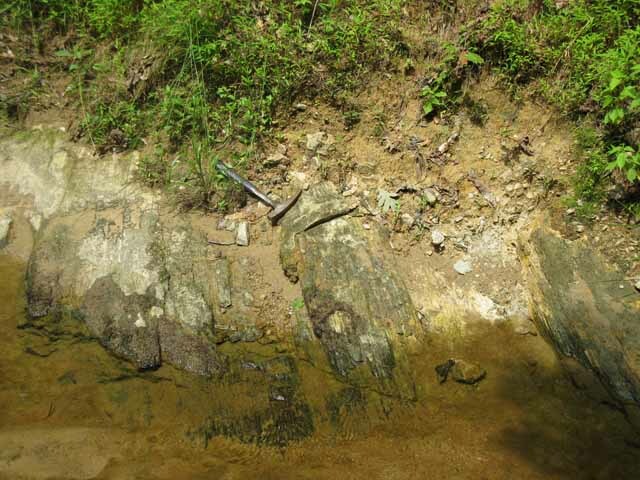 Figure 4-D. Outcrop of quartz-rich Crabtree terrane schist downstream from bridge at trail point 4-D. The foliation dips steeply to the east (right). 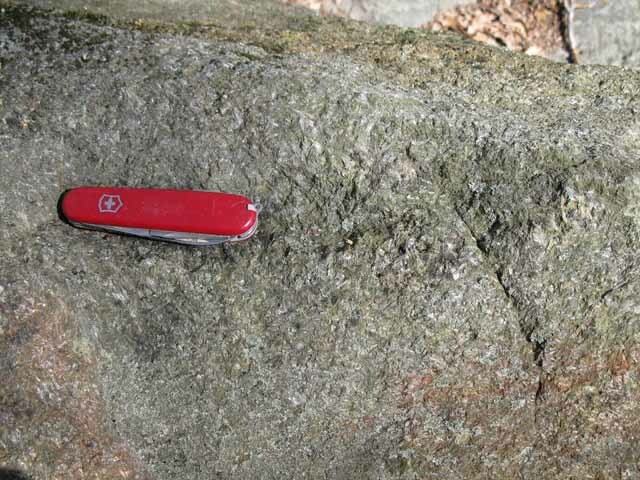 Figure 5-E. Outcrop of gneiss at trail point 5-E. 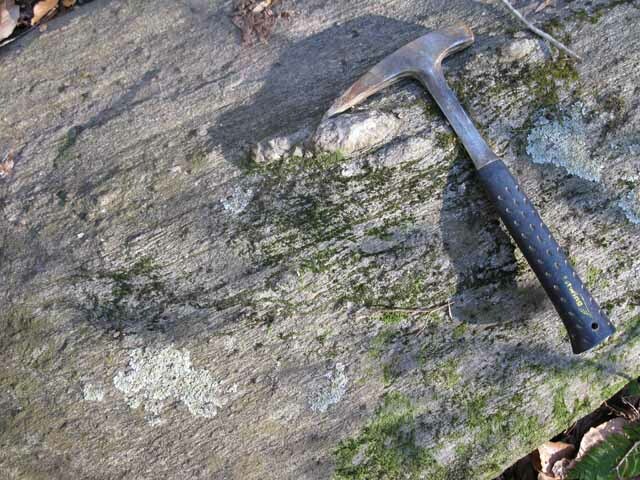 The foliation in this rock dips steeply to the west (right), but the rock is cut by three sets of planar fractures, called joints by geologists. One set is nearly horizontal, a second is roughly parallel to the foliation, and the third is nearly perpendicular (the hammer handle rests on a joint of this set). 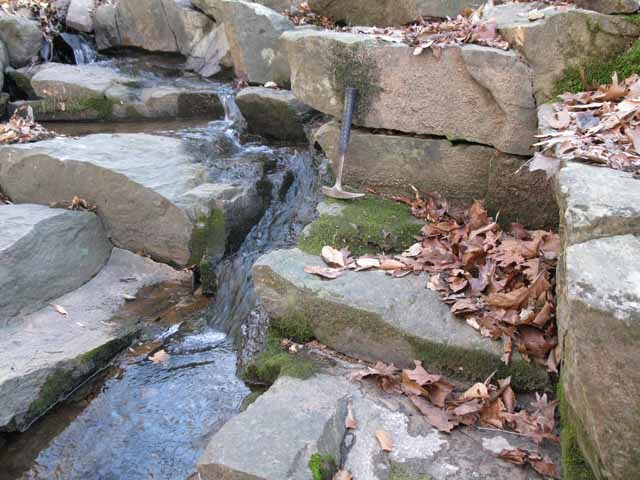 Joints such as these are the passageways for groundwater. Figure 6-E. Smaller ledge of gently west-dipping schist. 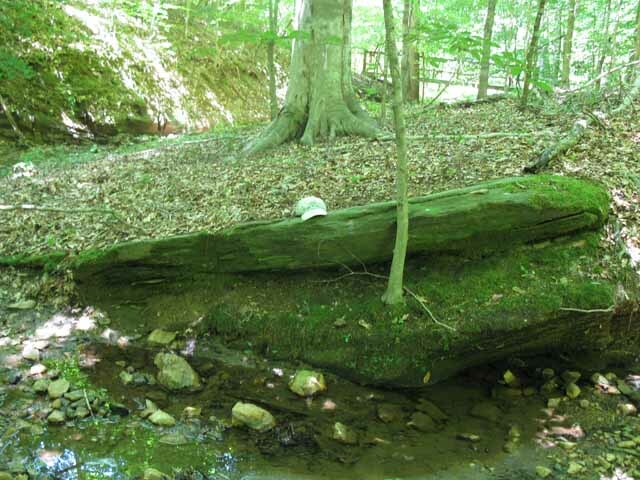 Longer ledge is in the creek bank in the left background. Trail footbridge in right background. Figure 6-F. Flat-lying (i.e. 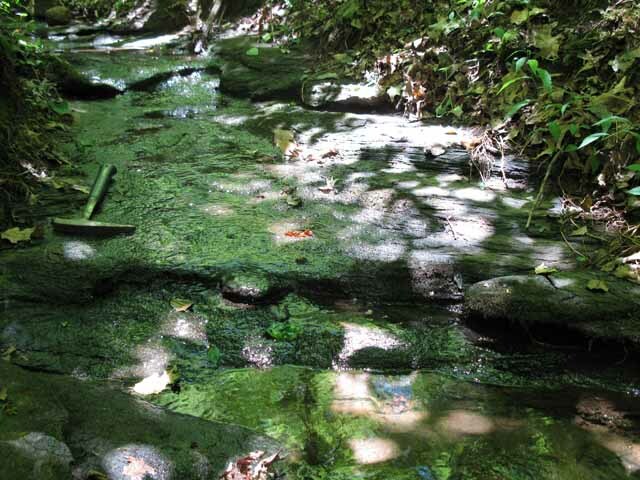 horizontally foliated) mica schist upstream from bridge at trail point 6-F.